A new referral season starts today! 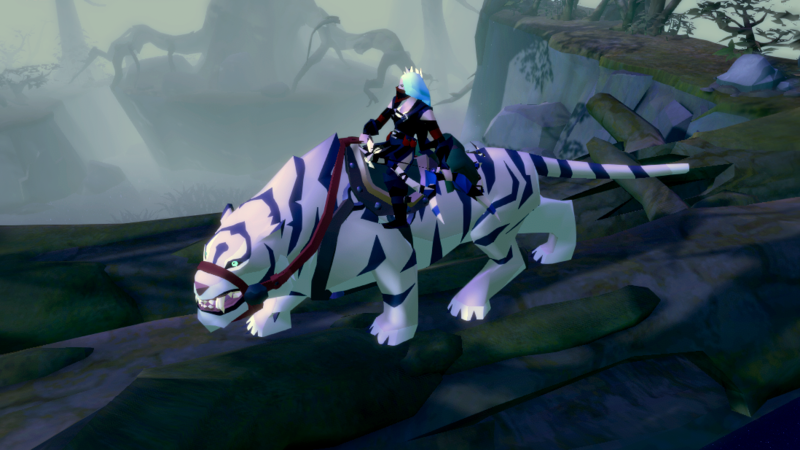 Refer your friends to Albion Online and get three fantastic rewards:the Merlyn Cube, the Recruiter's Pile of Tomes (worth a total 100,000 Fame), and the White Tiger. Your friend registers an account and starts playing Albion Online (preferably along with you!). The first time your friend purchases at least 30 days of Premium, they will trigger a reward for you. For each friend you refer through this system in a given referral season, you earn one "point". For your first, third, and fifth points within a season, you will earn an item reward. For the current rewards and your progress, please check the referral overview page. Additionally, you will receive a reward of 500 Gold for each referral made this way. (As with item rewards, Gold rewards are limited to once per referred account.) This reward is delivered to your account seven days after the respective Premium purchase was made. On top of that, for your very first referral ever, you will receive a special reward: a tier-8 Recruiter's Pile of Tomes, worth a whopping 200,000 Fame. This one-time reward is not bound to any referral season, and will also be given retroactively to all players with at least one qualifying referral before April 10.